I have a great love for Cybele, the Mountain Mother. And although most of my interactions with Her are within the context of Her syncretic form with Rhea, this post is dedicated to Her as Her separate self. It is hard for me pinpoint the exact time that Cybele entered my life. Was it before I met Dionysos? Was it after? I do not know. 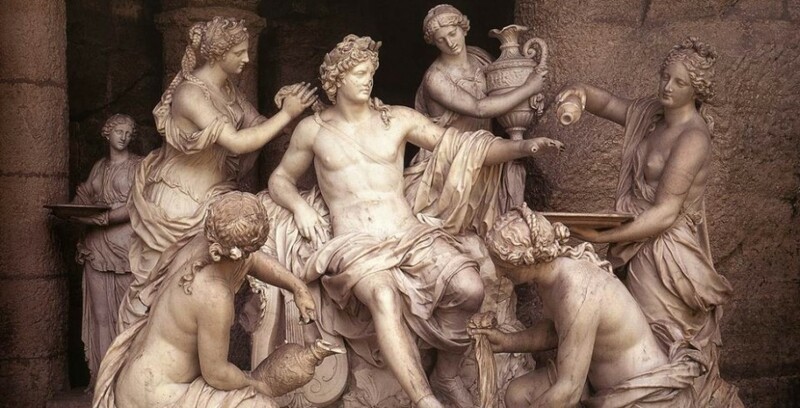 But They, Cybele and Dionysos, were like two rivers from the same source in my life. He would take me to Her, and we would dance in Her rites, blissful and ecstatic. I was so happy when I was with Her. All of my troubles melted away. She was the balm that soothed me, and the fire that roiled in my gut. I loved Her so. But then Another came into my life, and I was faced with the presence of the truest love of all. Apollon swept in then, and everything changed. For a while, maybe a year, I would still spend much of my time with Cybele and Dionysos, but She could tell that I was different, even if I couldn’t face it myself. But I couldn’t walk away from Her. I couldn’t let go. I felt as if I were somehow dishonoring Her as my thoughts would inevitably drift toward Apollon. Finally, She sat me down and spoke. She talked of how far I’d come and how much I had left to learn. She told me that I would always be welcome to visit Her whenever I wanted. And then, She told me to follow my heart, wherever it dared to take me. So, I followed Apollon. Cybele’s blessing ended that last bit of doubt and worry in my heart. She set me on this path, and freed my mind to accept Apollon, fully and truly. I will always adore Her, and always will I be grateful for Her foresight. This entry was posted in Doxa, Inspiration, My Life and tagged #GratitudeProject, #GratitudeProject2017, Cybele, gratitude, Gratitude Project. Bookmark the permalink.